The Grade 2s have been exploring and learning about gardening as their theme this term. They have connected with the earth and developed a greater insight into the need to care for our environment and its sustainability. 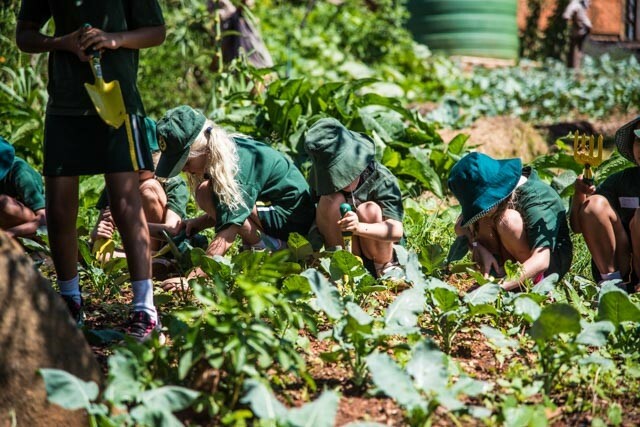 They have been discovering how to explore nature through their senses, make a compost heap, grow organic vegetables and how to mulch soil and grow their own wormery. 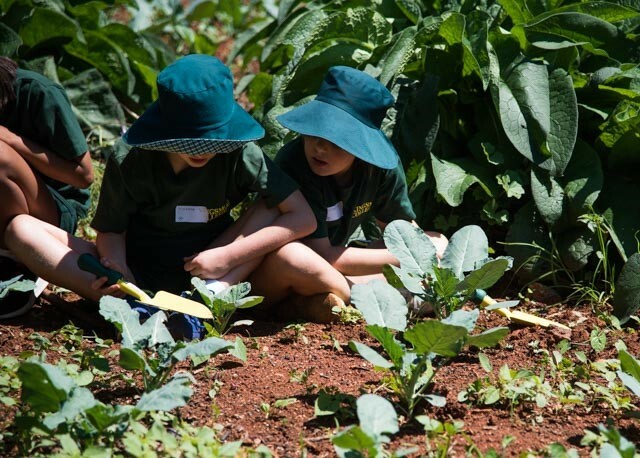 Through questioning and their innate curiosity, they have learnt more about the topics of sunlight, soil, water and oxygen and the importance of these elements in nature. 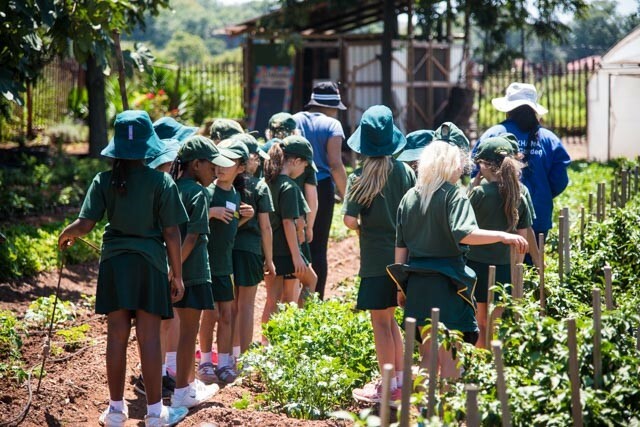 Their visit to Siyakhana Gardens in Bezuidenhout Park within the inner city of Johannesburg provided the girls with a chance to slow down, feel the soil and plants and connect with nature. The local community under the mentorship of Prof Michael Rudolph has come together to create an urban garden in the city by transforming an arid and unproductive plot of land into a flourishing oasis which feeds and provides jobs for many people in the area. Our girls were reminded of how important it is to change mindsets of negativity, hopelessness and apathy, to ones of purpose, inspiration and hope. As well as the importance of Ubuntu and treating others with respect, compassion, goodness and kindness and having a proudly African approach to life. They also had a visit from Reel Gardens and had the opportunity to learn how to plant their own organic vegetables and observe and watch the seeds grow out of Reel packs. 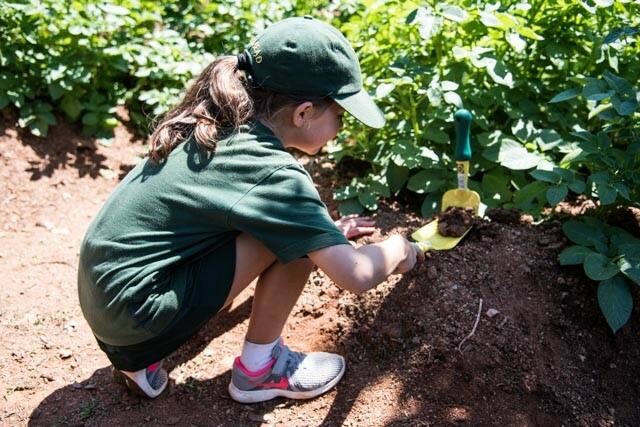 There are many lessons to be learnt from nature and gardening which have an impact on our day to day lives. Prepare the soil well; our ability to grow is dependent on how we prepare the foundations that allow us to thrive and grow strong – just like our plants. Look to the sunlight; we need energy and positivity – the sunlight has been shown to improve moods in people just as it has shown to help plants grow. You get what you put in; tend and nurture with love and compassion; take time, be gentle, show love, acceptance and appreciation – just as you tend your garden. Let things happen in their own time; learn to be patient and not expect instantaneous gratification – a seed will only grow as fast as it can, fruit and vegetables will only ripen when they are ready. To give is great; once your produce is harvested, you may have more than you can use – never take life’s rich blessings for granted; we should share them with as many as we can. There is beauty wherever we look; Look beyond the roses and proteas to the small seemingly insignificant succulents – find joy in the beauty of all those with whom we interact. A reminder to all parents to download and refer to the App as the primary source of information, communication and calendar updates. The Connection will be published on the website as a blogpost at least twice a month. The Grade 6s will be repurposing OLD books in the next IBL module. Please could parents send OLD books (ones that cannot be donated and shared in Book Fair Week) and place them in the box next to the Lost Property bin outside the Grade 4 classes. We are looking at any hard covered book, thick or thin, pictures or text, paper pages or cardboard, big or small. Kindly tie shoes together with the laces or an elastic band. All shoes will be placed on the cricket pitch. Thank you in advance for your support. The Grade 5s are partnering with Sunshine Association for community engagement in 2019. 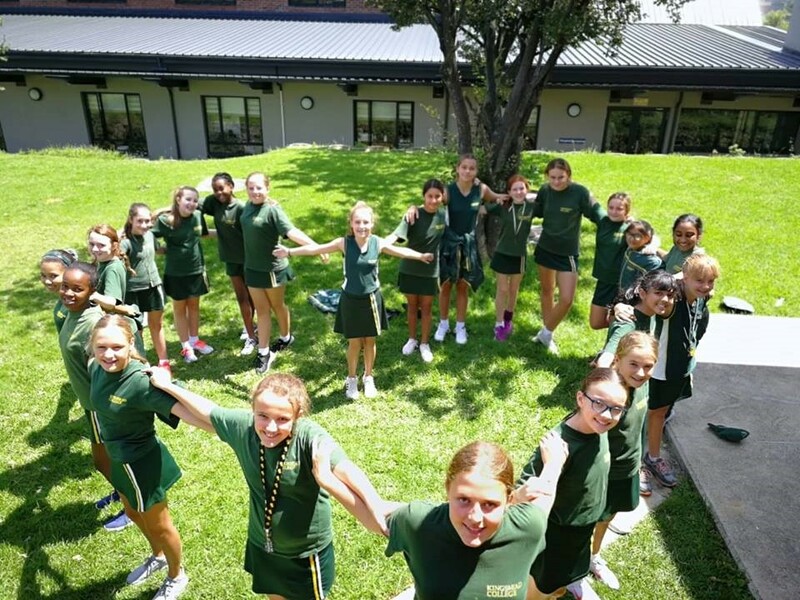 Grade 5 parents are invited to a Coffee Morning on Thursday 7 March from 7h30-8h00 in the Junior School Library for a brief introduction to Sunshine Association. 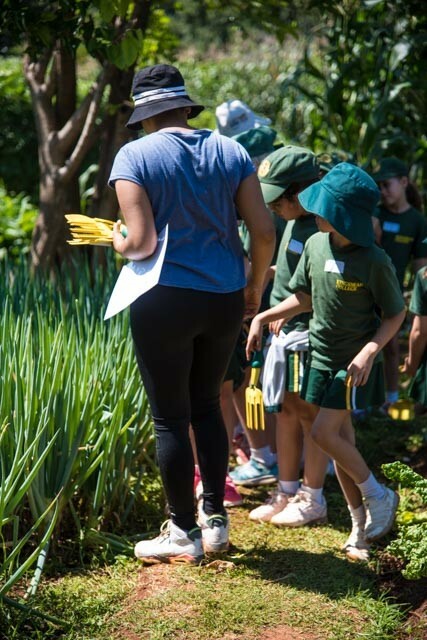 On Monday the 18th of February, Grade 4M went on a service excursion to Fight with Insight. The girls were divided into three groups and each had a turn to serve in a meaningful way. The first rotation was making sandwiches. The girls washed their hands and made delicious peanut butter sandwiches for the children that would be visiting Fight with Insight later that day. Our girls then got eagerly stuck into sorting out the library at Fight with Insight. The last rotation consisted of making birthday cards for the boxers at Fight with Insight. The girls made the cards with lots of love and care. The highlight of the morning was probably the boxing demonstration. 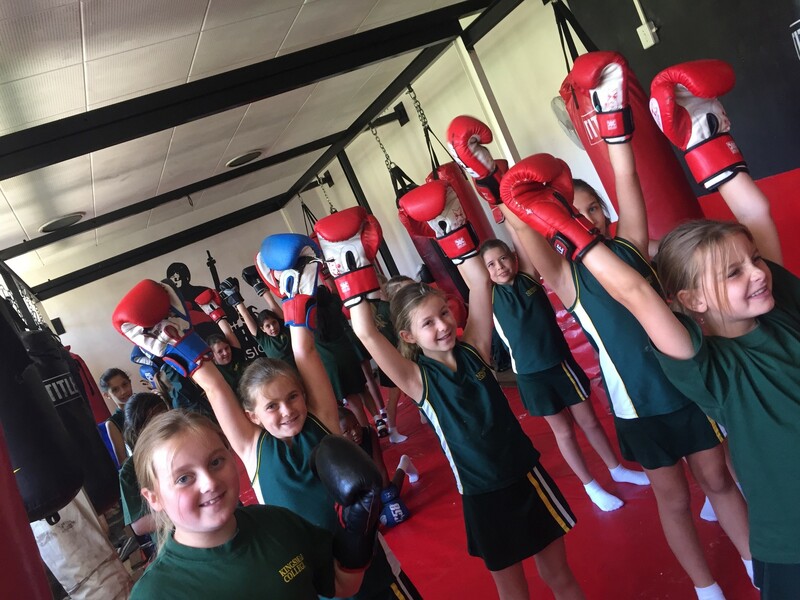 Each of the girls put on a pair of gloves and were taught basic boxing punches. We all realized that it may look easy, but it is really hard work and certainly makes you very fit. We ended our visit with a tour of the Children’s Memorial Institute and were introduced to the many and varied services offered at this Institute to children who have special needs living in the inner city. The excitement on the bus was unexplainable! Everyone was dying to arrive at the farm and see all the animals. As we got there everyone was desperately trying to get out of the bus first, pushing and shoving to get to the front. We were able to leave our lunch boxes inside one of the main buildings and from then on the tour began. We saw some incredible animals. First we went to see two pigs, Tickles and Oscar, a few goats and a sheep. Then we went to see and pet the donkeys, they were cutest things I’ve ever seen. After that we visited the horses. At SAID they don’t only treat the sick or injured horses they also train the horses that may have been abused or someone had brought in to the farm. We loved seeing the animals heathy and happy. My favourite animal was the donkeys because they were so big and we learned that they are a Spanish breed of donkeys who were bred to be big and strong to work and pull heavy carts. The experience was so much fun and we can’t wait to work with SAID even more. Girls must choose a minimum of one sport and must attend both practice sessions of the chosen sport. Girls are welcome to do more than one sport however as it is Netball season, Netball takes preference in the unlikely event of a clash. Netball goal shooting practice is for those girls identified by the coach or those wanting to hone in on their shooting skills. Once girls have been identified by the coach to attend, it does become a compulsory session for the girls. It does not replace the other two practice sessions. Winter Tennis is a continuation of tennis. There are no fixed matches but we are looking into entering the interested girls into tournaments if and when they happen. Hockey – girls to please ensure that they have protective gear at all time: Gum guards and shin pads. 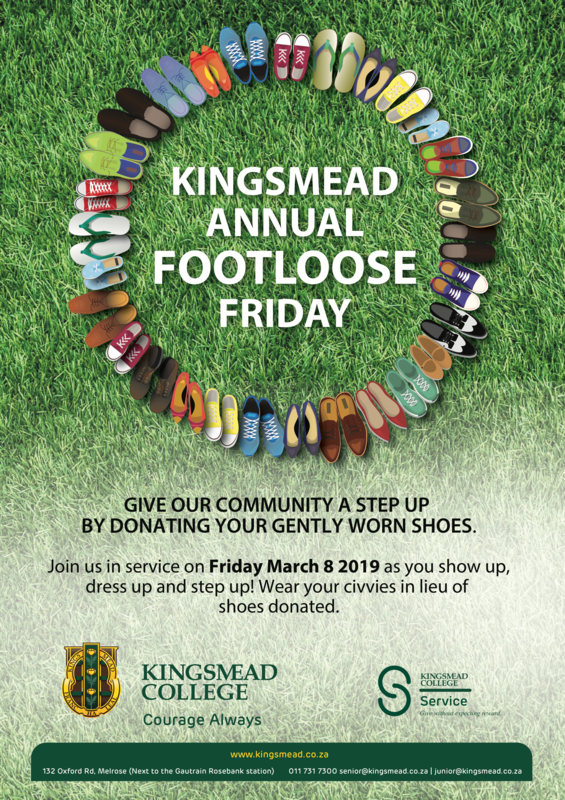 Please join us for fun morning of tennis on Sunday 10 March 2019 at Kingsmead. To register please complete the electronic form on the school app by the 8TH March so we can create the order of play and send that out to you by Friday afternoon. Please find the information below for those who did not receive the email. This event is open to all our girls ( Grade 0-7) and assistance will be available for the swimmers that require help to complete their widths. In order to make this festive afternoon as successful as possible we need help from our parental body. If you are able to assist even for a short period of time please contact Amanda Flemming at amandaf@indiancotton.co.za or 083 607 0813. The swimming timeslots and all the finer details pertaining to your class will be communicated to you through your class teacher and class mom. 1st Barrel Level 1, 2nd Barrel Level 1, 2nd Horse Level 1 and 3rd Horse Level 3. We had 14 girls competing across a range of disciplines: Amy Falcon, Faye Pienaar, Francesca Logan, Helena van der Merwe, Humayrah Ebrahim, Jade Anderson, Karabo Matsoso, Katherine Papadopoulos, Makhutsi Moloi, Nuhaa Patel, Rania Motara, Sarah Florence, Taylor Prinsloo and Zuhayra Ebrahim. Francesca Logan: 1st in Level 1 Equitation, 4th in Level 1 Prix Caprilli Test A, 5th in Level 3 Show Jumping Round 1 and 11th in Level 3 Show Jumping Round 2 riding Gypsy. Helena van der Merwe: 6th in Level 1 Prix Caprilli Test A riding Ricky. Jade Anderson: 1st in Level 1 In Hand Utility and 2nd in Level 1 Performance Riding with Joshua Toy Town. 3rd in Level 2 Dressage Test A, 6th in Level 2 Dressage Test B, 2nd in Level 3 Handy Hunter, 3rd in Level 4 Show Jumping Round 1, 4th in Level 4 Equitation with Surprise. 3rd in Level 3 Dressage Test A and 4th in Level 3 Dressage Test B with Galaxy Man. Karabo Matsoso: 8th in Level 2 Show Jumping Round 1. Katherine Papadopoulos: 7th in Level 1 Show Jumping Round 1 and 10th in Level 1 Equitation riding Denis. Makhutsi Moloi: 3rd in Level 1 Performance Riding, 3rd in Level 1 Show Jumping Round 1 and 5th in Level 1 Show Jumping Round 2 with Copper Creek. 6th in Level 1 Working Riding, 8th in Level 1 Show Jumping Round 1 and 7th in Level 1 Show Jumping Round 2 with Foreign Reserve. Nuhaa Patel: 1st in Level 0 Working Riding and 2nd in Level 0 Dressage Test A riding Polo Power. Rania Motara: 1st in Level 1 Performance Riding, 1st in Level 1 In Hand Utility, 2nd In Level 1 Working Riding, 1st in Level 2 Dressage Test A and 4th in Level 2 Dressage Test B riding Mickey Blue. Sarah Florence: 3rd in Level 1 Prix Caprilli Test B and 9th in Level 3 Show Jumping Round 1 riding Totem. 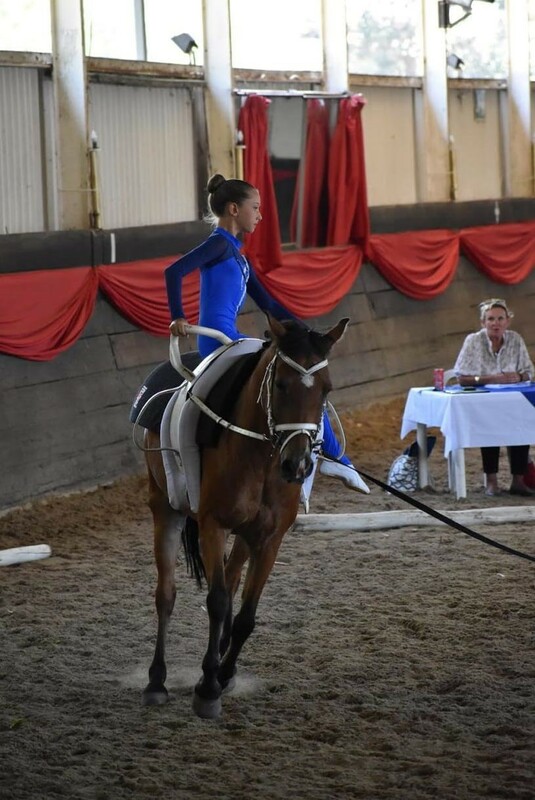 Taylor Prinsloo: 5th in Level 1 Prix Caprilli Test B and 9th in Level 1 Equitation riding Swazi-Iizkhar Komati. Zuhayra Ebrahim: 2nd in Level 1 Dressage Test A and 2nd in Level 1 Dressage Test B riding Kinsale. Please refer to the Live Calendar.